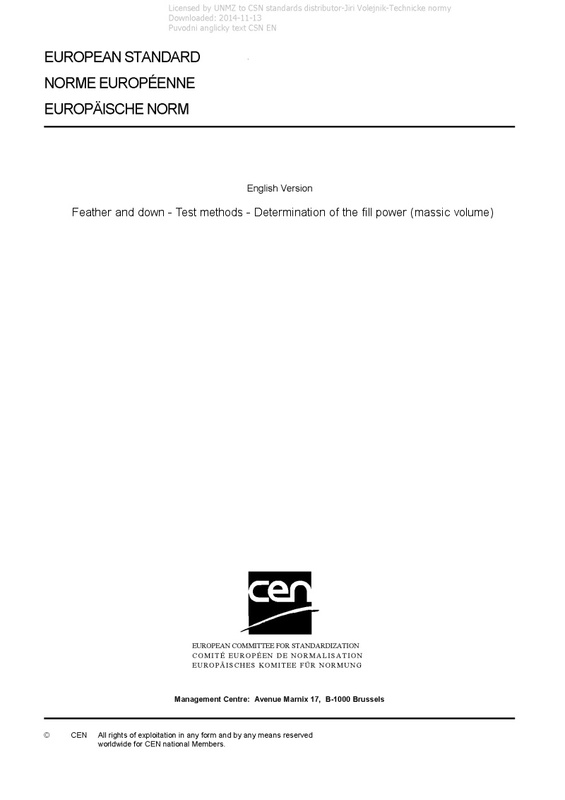 EN 12130 Feather and down - Test methods - Determination of the fill power (massic volume) - This European Standard specifies one procedure for determining the fill power (massic volume). This method is applicable to processed plumage fit for or constituting filled manufactured articles (e.g. anoraks, quilts, etc. ).